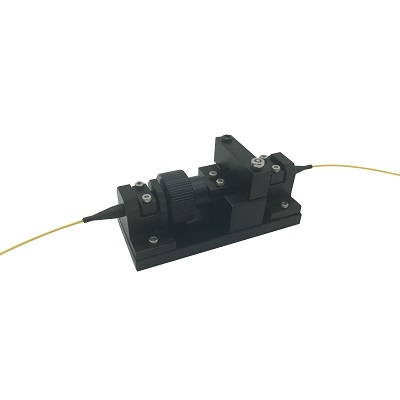 Optowaves’ manual in-line polarization controller has compact size. By the special design, the twist range could cover ±π. So it allows any arbitrary input polarization state to be converted to any desired output polarization state. Unless otherwise noted, ™ indicates that the name is a trademark of, or licensed to, Optowaves, Inc. or one of its subsidiaries. Optowaves, Inc. is trademark and service mark of Optowaves, Inc. and its related companies. Copyright © 2019 OPTOWAVES. All Rights Reserved.